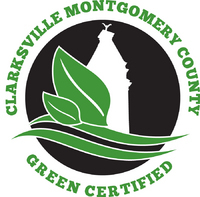 Frontier Basement Systems is now a part of the Montgomery County's Green Certified businesses. Since 1989, the Cheatham County Chamber of Commerce has been committed to building a strong business community by networking, educating and facilitating community leadership to create economic prosperity. In partnership with member businesses, we are committed to continual improvement of the community, schools, economy and the quality of life through a wide variety of programs. The Chamber works to positively impact the economic vitality and enhance the quality of life in the region, while supporting the growth and prosperity of chamber-member businesses. The mission of the Clarksville Area Chamber of Commerce shall be to represent the interests of the business community and its membership by advancing community development, promoting the business and economic environment, and improving the welfare of the community by enhancing the quality of life in the region. Nashville Area Chamber invest in the success of the entire Nashville region. 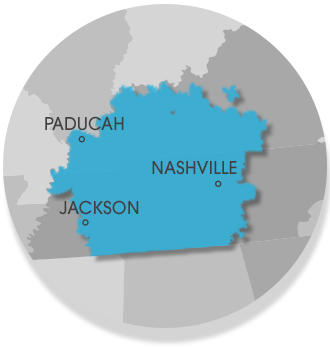 Middle Tennessee's largest regional business advocacy organization, helping more than 2,200 member companies grow and prosper. The BBB Torch Award is the highest recognition given to the area business by the organization. This award, achieved through a rigorous application and judging processes, honors businesses for their ability to demonstrate the highest standards of customer service, community involvement, adherence to truthful and honorable business practices and outstanding reliability. Frontier Basement Systems is an A+ rated business with the Better Business Bureau. Judy Gebers, co-owner of Frontier Basement Systems, is a member of the Advisory Board of the Tenn-Tucky Clarksville Branch. Frontier Basement Systems was also a Torch Award finalist for 2013. Within each local market, we interview and select the right companies to join us in creating a strategic and efficiently managed platform where decision-makers can build relationships with other decision-makers for the sole purpose of growing their respective companies. Since each Accelerent partner is exclusive in their business category, they can "tell their story" and build new relationships without competitive clutter. In short, we've found that business development can be a little like buying a car. As soon as you buy a new model, you notice them everywhere. It's not that they weren't there before; you just didn't see them. The same applies to business opportunities. If you meet other business leaders and tell them what you do, why your company is the best, and what your target customer or opportunity looks like, they will see those opportunities everywhere. More importantly, when they do see them, they know where to send them to you. 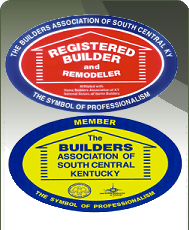 The Builders Association of South Central Kentucky is a non-profit trade association, chartered in 1967, dedicated to quality, ethics and education in the building industry for the benefit of both members and consumers. We are composed of Registered Builders (General Contractors who supervise the construction of your home) and Associates (any and all other businesses related to home building, such as bankers, painters, carpenters and landscapers ). It is our belief that everyone should have the opportunity to realize the American dream of homeownership. We help make this dream a reality by promoting and protecting builders and those who are in related trades from undue regulations which serve only to increase the cost of owning a home. The strength of our home building industry is fundamental to the strength of our nation. Our industry is responsible for providing shelter and comfort for our families, safety and protection for our communities and jobs for the economy. City current: cityCURRENT is a privately-funded catalyst focused on creating moments and media to power the GOOD. A team of partner businesses, comprised of some of the largest employers in the world to mid-size and smaller firms, have joined forces and funds to focus on making a difference through philanthropy and volunteerism, hosting more than 150 FREE events each year, and producing an array of positive-oriented media. Home Advisor superstar status! You work hard, and you have great reviews to show for it. This badge lets homeowners know that you come highly recommended. NAHB strives to protect the American Dream of housing opportunities for all, while working to achieve professional success for its members who build communities, create jobs and strengthen our economy. The National Association of Home Builders (NAHB) helps its members build communities. Each year, NAHB's members construct about 80% of the new homes built in the United States, both single-family and multifamily. A federation of more than 700 state and local associations, NAHB represents more than 140,000 members. About one-third are home builders and remodelers. The rest work in closely related specialties such as sales and marketing, housing finance, and manufacturing and supplying building materials. NFRA is a professional national organization that exists to promote high ethical standards in the practice of foundation repair and to promote cooperation between the foundation repair industry and government. The National Radon Proficiency Program (NRPP) is recognized as the nation's leading certification program for radon professionals. NRPP Certification is an ongoing effort that requires bi-annual documentation of competence, expertise and performance to demonstrate skill, knowledge and professionalism. The HBAMT is a voluntary, not-for-profit trade association dedicated to promoting the American dream of homeownership in Middle Tennessee. As such, a goal of our organization is to be your trusted resource for all aspects of the building industry. That's because we strive to support our members and ensure they're representing our industry at the highest level. Our educational programs keep them up-to-date on the latest building practices and construction techniques, and provide them the opportunity to network with the most respected industry professionals in the country. 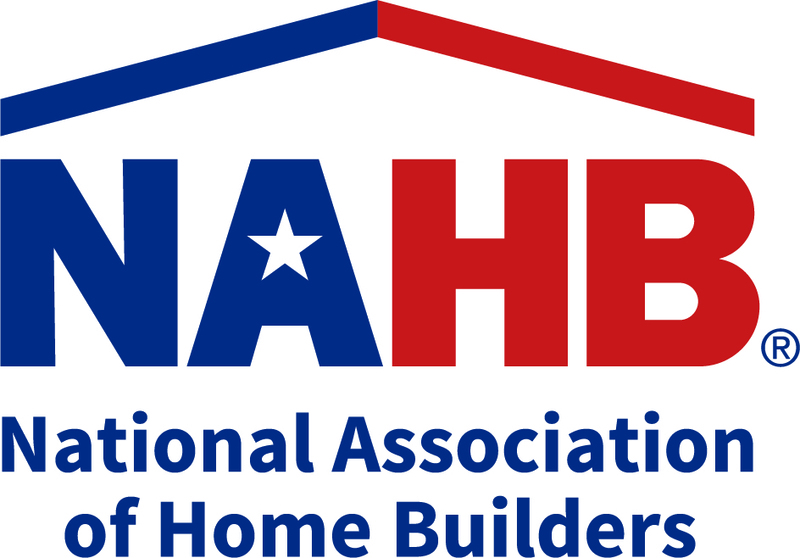 As an affiliate of the Home Builders Association of Tennessee (HBAT) and the National Association of Home Builders (NAHB), we take full advantage of the support, resources, benefits and programs they provide. 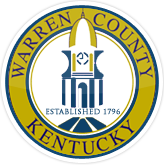 The Bowling Green-Warren County Contractors Licensing Board prescribes and regulates construction activity according to current ordinances and laws by furnishing contractors licenses and providing a method for administration and enforcement of these provisions. It was established to protect the public's health, safety, and welfare by guarding against unreliable contractors, and to regulate construction activity in order to protect property owners in the City of Bowling Green/Warren County.